Today’s writing links include news about Japan’s proposed space elevator (and a counterpoint to the plan), news about JK Rowling’s next book, new literary agents on the scene and a list of successful adaptations of “unadaptable” books. 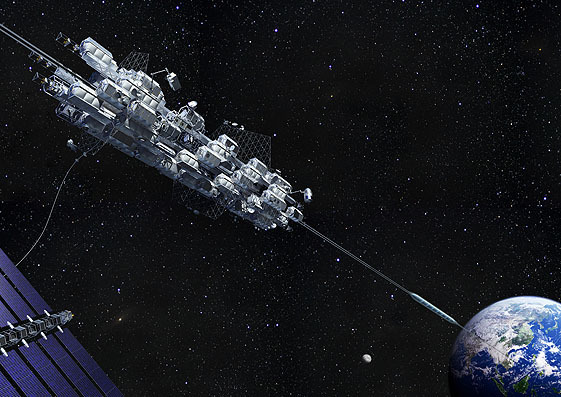 I have to admit, although I’m not a huge fan of long elevator rides, Japan’s space elevator plan sounds cool in concept. Although the argument against why it won’t be ready by 2050 includes an incredibly relevant point (the technology to tether the supposed “ribbon” configuration has not been invented yet), it would still be very exciting to see the thing erected during my lifetime, even though I’d be 66 by the time it goes up. I can’t hide a little bit of disappointment that it’s going to take that long, but I guess if I want to get to the moon before then, I’ll have to do it the old fashioned way. With the relative decline of NASA, the old fashioned way seems to have defaulted into hiding in Buzz Aldrin’s luggage or being Richard Branson’s butler. It’s also nice to hear that J.K. Rowling will be returning to writing soon, with the announcement that she will be publishing a new book in the near future with her newly acquired publisher, Little, Brown. Although the subject matter of her next novel is unknown, it will be interesting to see what she will write her first adult novel about. Are we looking at an adult fantasy book or a David Foster Wallace like entry into her literary cabinet? I guess we’ll have to wait and see. Just to give everyone the heads up, registration for reddit’s second annual book exchange just opened up this week and will run until the end of the month. For those unfamiliar with the program, reddit’s book exchange matches you with another participant at random that you will then exchange a book of your choice (based around interests listed in your match’s profile) with. Last year, the program saw almost 5,000 participants in 58 countries exchanging books. This year the exchange returns with purpose, as they hope to show the world that reading is an undervalued, but essential activity. If you need character witnesses for the program, how about the greatest non-computer based Jeopardy player of all time? Let us hear what Ken Jennings has to say about it. This week’s writing links feature the sci-fi writing prompt for the week, a best blogs for writers to read in 2012 list, 6 tips to resuscitate a dying author blog and a review of Elmore Leonard’s new book Raylan. 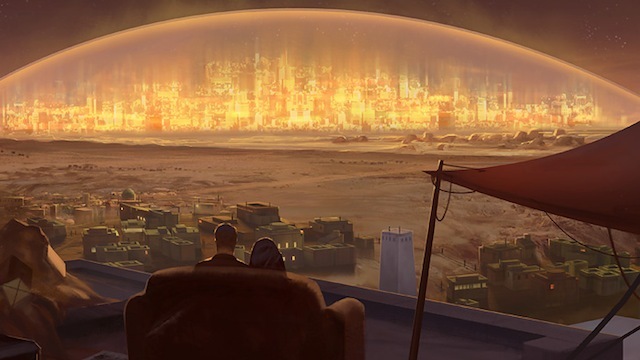 The art included in this week’s post, which was designed by Lorenz Hideyoshi Ruwwe for Joe Vasicek’s e-book Desert Stars, comes from io9’s sci-fi writing prompt for the week. Their prompt tasks you with creating a story based off the featured concept art. It’s a really nice piece of art and I’ve spent a considerable amount of time checking out the sites for both the artist and the author, which I would really encourage people to do if they have a couple of free minutes. In other news, there has been a lot of rabble recently that it’s only a matter of time now before Amazon finishes off all the remaining bookstores on the planet, creating a storeless utopia where disenchanted souls mindlessly impulse buy romance novels to pad their already backlogged Nooks and Kindles. Amazon’s response to this charge? They added more networks (MTV, Comedy Central, Nickelodeon) to their streaming service (which I happen to be a member of) and continued to deliver all my packages in a timely and generally satisfactory fashion. I wish Amazon could give me more reasons to hate them, but other than the complete and utter wastelanding of brick and mortar bookstores, they haven’t given me much ammo. As penance for my notable dependence on Amazon to deliver 3-D Imax blu-rays about space to my doorstep, I have made a resolution for the coming months to do my best to go out of my way to support brick and mortar bookstores, whether they be Barnes & Noble or some of the Chicago locals. Maybe if we all do our piece, we can give them a second wind. This week’s writing links feature a cool list of 10 great science fiction novels for girls, a theoretical map of ‘The Hunger Games’ Panem, a poll that reveals only 11% of readers discover books they read from social networking and 10 tips to bypass cliche and melodrama in your writing. 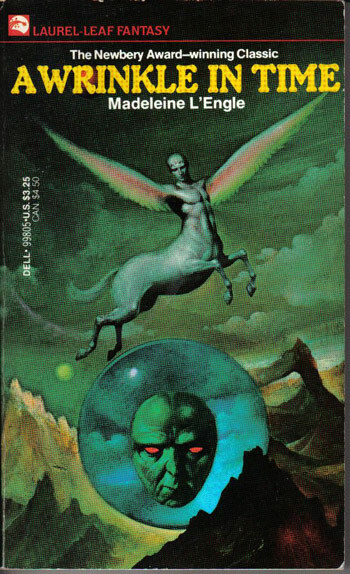 I haven’t read ‘A Wrinkle In Time’ since my childhood, but I always remembered it fondly. Often championed as a YA classic in the same vein as C.S. Lewis, the book is featured on the 10 great science fiction novels for girls list (even though I think it classifies more as a fantasy book). It’s a great list nonetheless if you have a little voracious reader who wants to expand her reading horizons. In other news, there have been some great success stories from Amazon’s KDP sharing program and more news concerning their escalating war with Barnes & Nobles. I don’t really have too much insight into the situation, but I do know that it would be a shame if there were no book stores in the near future. I understand the efficiency of Amazon (I use it all the time), but really wonder what would generate book recommendations if there was no physical browsing available to buyers. I fear that it may remove spontaneity from the book buying process. Let’s hope it doesn’t come to that. Either way, here are some links!